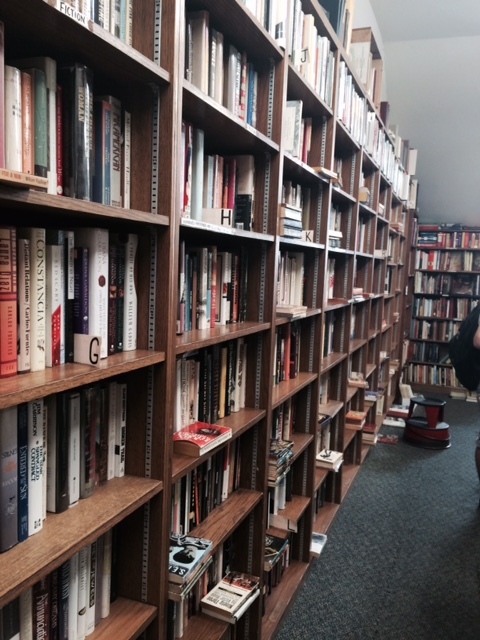 So… Part 1 of the story was dedicated wholly to a specific bookstore, Capitol Hill Books. 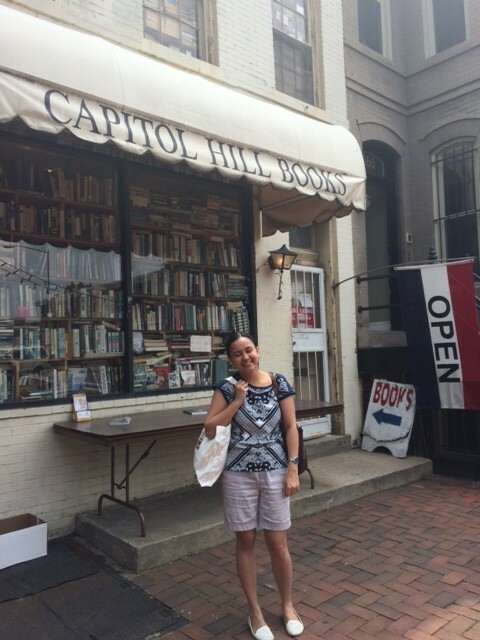 It’s my most favorite in DC based on my trip, but it doesn’t mean that there’s no other cool bookstores in the city. 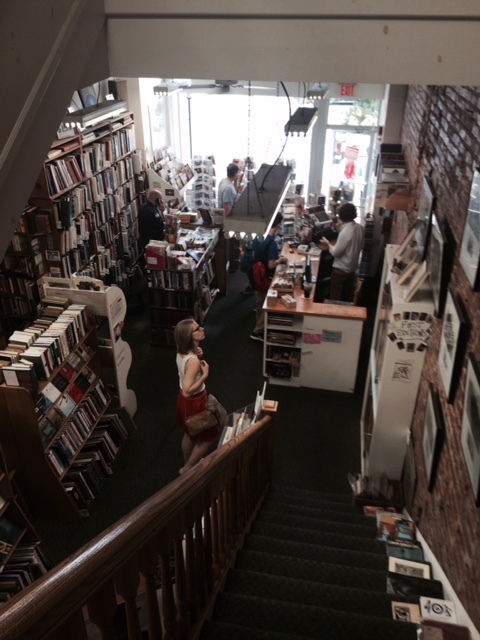 The first shop I visited is Idle Time Books – located near my hotel, in Adams Morgan area. This is a hipster kinda neighborhood, with lots of cafes, jazz clubs, bars, fusion and ethnic restaurants. 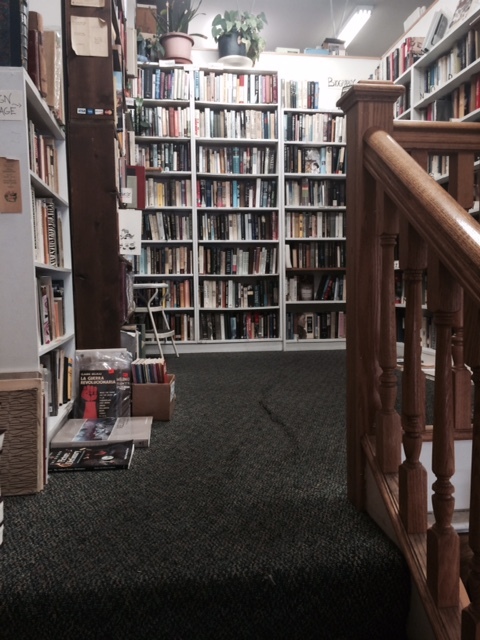 Idle Time Books is a small two story building, old fashioned from outside but has this cozy ambiance in the inside. Some bookshelves are left outside during the summer days, inviting pedestrians to stop by and browse the books that are on sale. Some of the books are only $1, very cheap indeed and sometimes you could actually find hidden gems there. Entering the bookstore, the old school vibe remains, the smell of papers, leather and wood created this homey feeling that makes you realized you can actually find home away from your home. Inside, wood bookshelves are standing side by side, packed with books from various genre. I come here with my two colleagues and we all have different taste for books. So we separated and went to different directions, browsing the shelves that are most interesting to us. Of course I went directly to the Fiction and Literature shelves, followed by the Children’s Books section. There are lots of options of course, but Idle Time is pretty serious with their vintage collections. I found some old children’s books from the 60s or 70s, with their covers a bit torn and the pages were yellow. You really need some time to browse the bookstore, because even in the uninteresting looking shelves, there are some hidden gems somewhere. 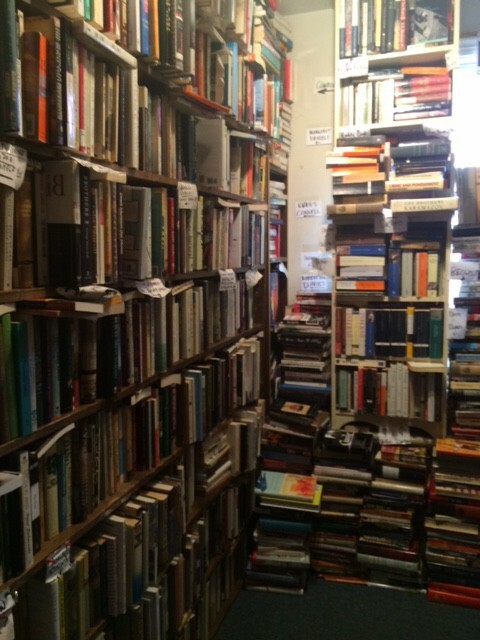 I love the layout of the bookstore because there are even shelves at the unexpected spots, like at the stair landing between the first and second floor, or some small rooms dedicated to rare or very specific genre. 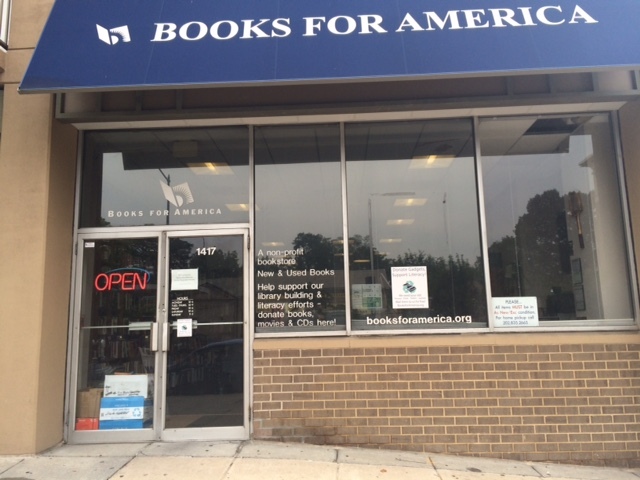 The second bookstore that I would love to recommend in this post is Books for America, another secondhand bookshop that is located near the Embassy Row area, including near the Indonesian Embassy. The store doesn’t look very impressive from the outside, only a brick building with blue awning and a small “Book Sale” sign outside. But inside, it’s another lovely book haven, full of wooden bookshelves that are lined around the room, with the books aligned with alphabetical order, made it easy to browse. You can walk from one end to another end of the room, or just go directly to your favorite bookshelf or look for your favorite authors. Some oldies style decoration can be found around the store, such as a vintage typewriter or wooden tables. The collection itself is pretty massive, with reasonable price. I found a hardback of one of my wishlists for only 7 USD, and the paperbacks are about 5 USD. 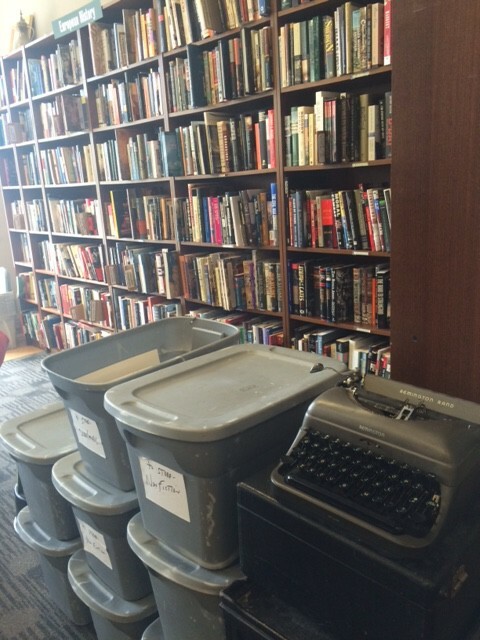 The other cool thing about this store is they provide the donation bin, where we can deposit any unused books to be donated to local schools, shelters, and other institutions/organizations. Sweet! I was lucky enough to be sent to another training and conference by my office to Washington, DC. And even though -as usual- the schedule is a bit cruel, fortunately I could still find some time to visit a few great bookstores during my stay in the city. The last time I went to DC was four years ago (you can read the story here), and I thought I could just go to the same places like before, visit the stores that I’ve been familiar with. 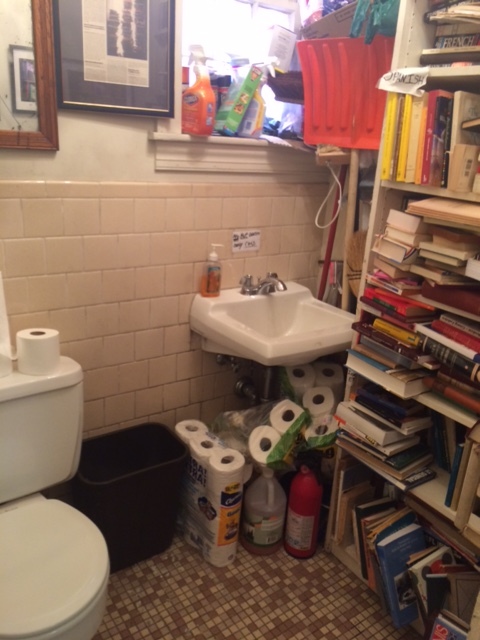 But – thanks to the most helpful Yelp, and some suggestions from friends and colleagues, I have found several additional hidden gems – places that made me so very happy being a bookworm. 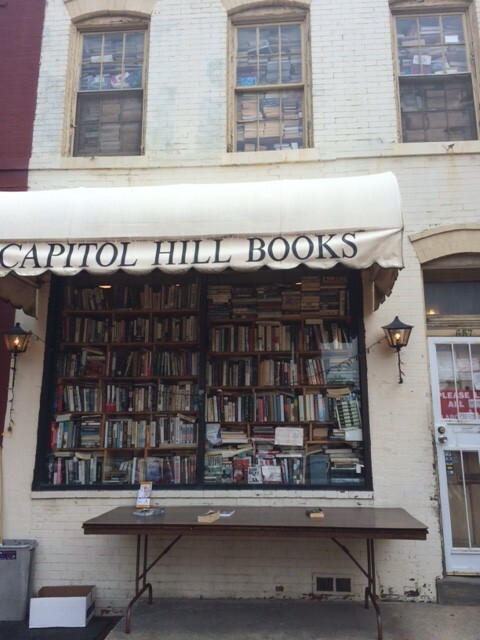 One of the most memorable places – and I dedicate this whole post to it- is Capitol Hill Books, located not far from the famous Capitol building. You can reach the place by Metro, stop at Capitol South station or Eastern Market station, and walk a few blocks. The store is a three story building located in an eclectic residential area, among the brick houses, cute cafes and unique stores. 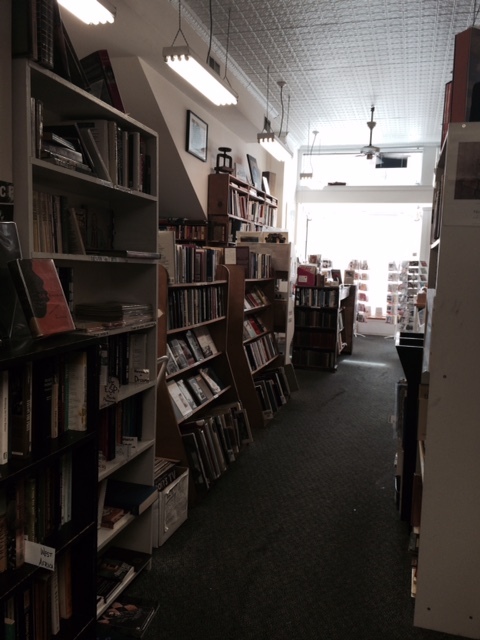 Looking at the store, I felt goosebumps, the front window is covered by stacks of books. 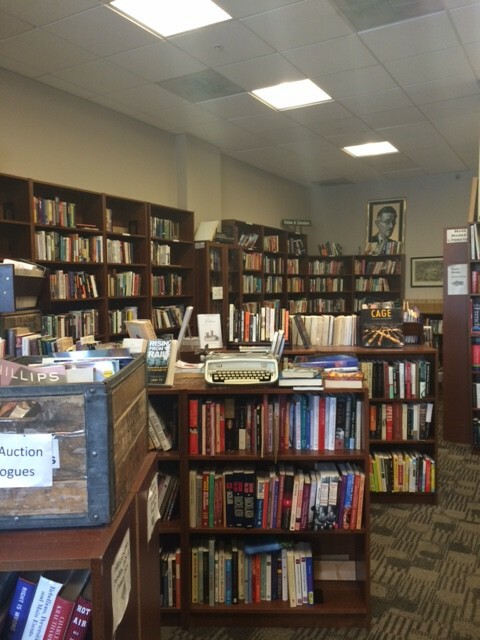 There’s a table in front of the store, some old books were scattered there, and a sign said that all books on the table could be grabbed – free. Wow. 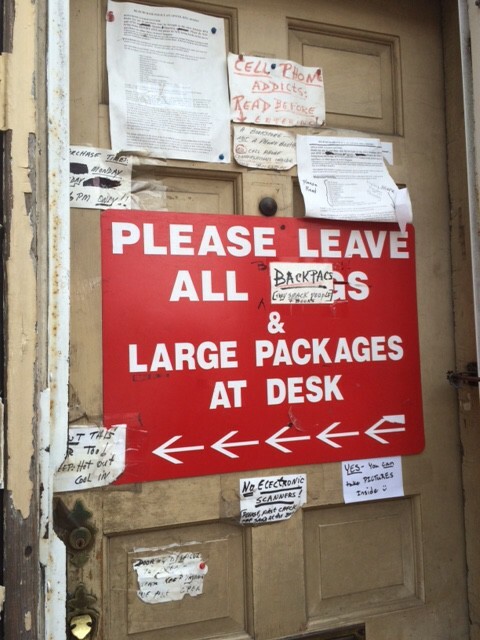 There are lots of signage and warnings on the front door, saying things like “no phone allowed, this is a bookstore not a phone booth”, or “please leave all bags at desk, backpacks can smack people and books”. Very intriguing. Entering the store, I felt like going into a different world altogether. 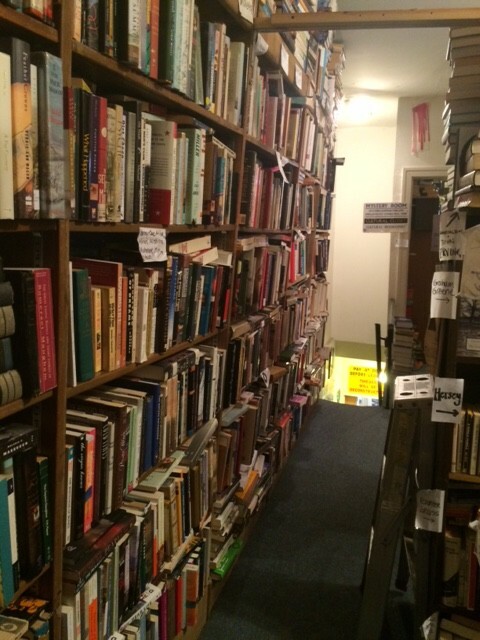 The smell of old books, combined with old wooden odor, made me feel I’m entering a bookworm heaven. High bookshelves crowded the room, only a small alley separated one bookshelf with another. And true, backpacks will be very inconvenient here! Even without having backpack with me, I accidentally knocked down some stacks of books, and had to rearrange them by myself. There are signs everywhere in the room, handwritten papers explaining the locations of books, some of them pretty mysterious. For example, in the children’s section, there’s a paper said “Roald Dahl books: 2nd floor, Fiction, D section”. But true enough, when I went to the 2nd floor, I found the Roald Dahl books among the fiction books from writers whose last names begin with D.
In the basement (the stairs leading to it is a bit creepy, so I kinda just looked from above LOL) you can find titles for horror books and darker stories (very suitable with the setting).